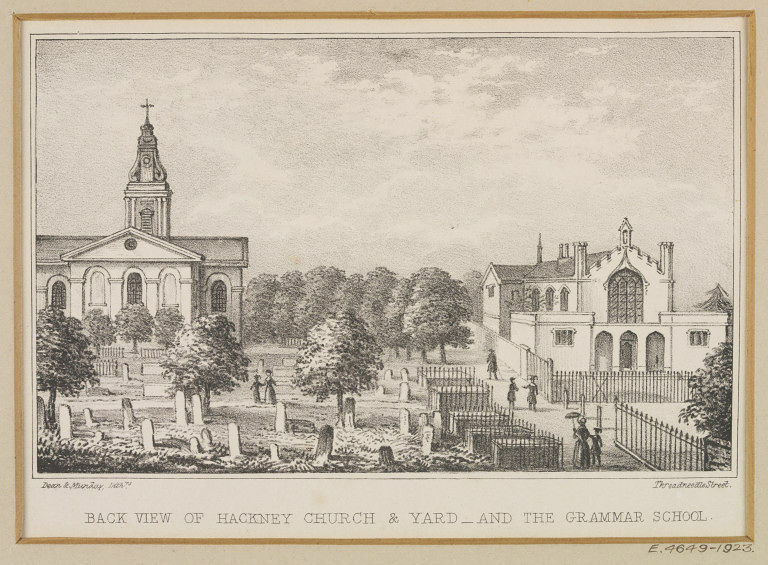 View from the east of Hackney Church and Yard and the Grammar School, showing the backs of the buildings. Dean & Munday, Lithrs. Threadneedle Street. 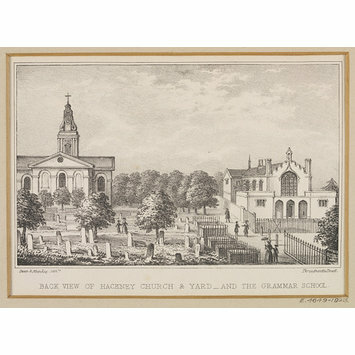 Lithograph of back view of Hackney Church and Yard, and the Grammar School, by an unknown artist, plate from Robinson's "History of Hackney", 1842.